Deloitte has partnered with Info-communications Media Development Authority (IMDA) of Singapore through its strategy consulting practice, Monitor Deloitte, in an effort to advance the nation’s Services 4.0 agenda. Services 4.0 can be seen as an important step towards Singapore’s smart nation efforts and provides a framework to transform the nation’s services sector, leveraging emerging technologies and embrace changes brought about by the digital economy. “We are honoured to support IMDA in this important and ambitious agenda,” said Mohit Mehrotra, co-leader of strategy consulting at Deloitte Asia Pacific. "The Singapore economy, and along with it, its service economy will continue to grow, and the rise of emerging technology will drive transformation simultaneously. "Emerging technologies and their associated trends can bring about new value creation in the economy, and cause disruption to current businesses. "It is, therefore, becoming necessary for organisations to reimagine the way they deliver services, conduct their business and interact with their customers." Through this partnership Deloitte aided IMDA in formulating the concept and strategy around Services 4.0 and supported Singapore’s new services and digital economy technology roadmap. Singapore is set to reap the benefits of the digital economy through its many initiatives to boost local organisations and attract high tech talent and enterprises to its shores. In the coming years digital and technological transformation will present many opportunities for the Singapore economy but there will also be challenges, especially in a service-oriented economy like Singapore. To illustrate this, in 2017, 72 per cent of the nation’s GDP and 74 per cent of employment came from the services industry, compared to 66 per cent and 69 per cent in 1996 respectively. In a study conducted by Monitor Deloitte to understand the changing dynamics of the services economy landscape and the role emerging technologies play in this change everything-as-a-service (EaaS) was identified as a key Services 4.0 model for the service providers to adopt to respond to the opportunities and risks associated with technology disruption. As a result of this study Monitor Deloitte recommends that service providers and the ICM ecosystem work together to create a new paradigm of technology development, deployment and adoption based on the principles of Cloud Native Architecture. This would enable service providers to leverage the powers of emerging technologies flexibly, easily and at low cost, and will also be able to bring new products to the market and scale faster, the study concludes. Services 4.0 also envisions a future that is human-centric, where technology becomes invisible while being an integral part of our everyday. As part of this vision Services 4.0 will aid services providers in offering services that are end-to-end, frictionless, and in a way that is also anticipatory and empathic to their customers’ needs. Furthermore, Services 4.0 envisions an ecosystem that allows machines to augment workers’ performance by automating certain repetitive parts of the tasks and enables, via intelligent machines, workers to focus on more ‘human’ aspects such as creativity, critical and analytical thinking, emotional intelligence and innovation. Ultimately, this will encourage workers to adopt new skills, to work with emerging technologies seamlessly and to focus on jobs that generate higher value. “In an increasingly technology enabled world, the big shifts in the client, regulatory and capability ecosystems are creating interesting opportunities and challenges for businesses,” said Mehrotra. “Many businesses are orienting towards the Everything-as-a-Service play. Singapore, through its Services 4.0 vision, has recognised the associated opportunities and risks. “This move will help Singapore strengthen the ecosystem, accelerate the transformation of businesses and workforce, and deliver the ambition towards becoming a leading services and digital economy." 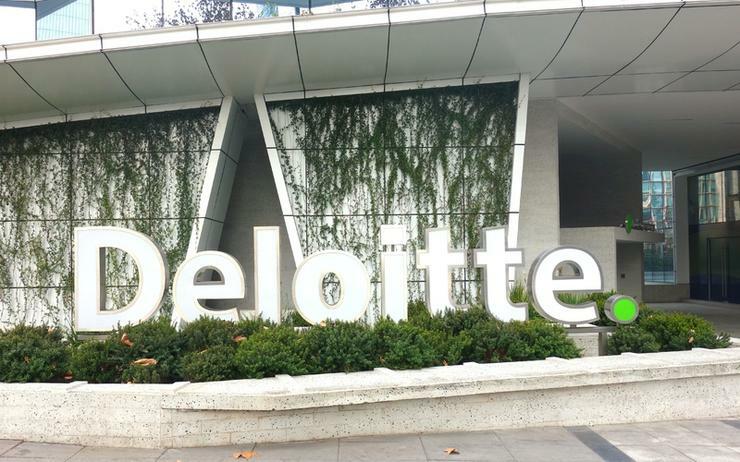 At an organisational level, Deloitte has seen its operations across Australia, New Zealand, China, Japan and Southeast Asia merge recently to form Deloitte Asia Pacific, bringing together almost 44,500 partners and people, with the potential to create a US$10 billion business by 2022. The merger is designed to increase the consultancy's scale across the Asia Pacific market while enhancing its capabilities to serve its clients. Furthermore, the five geographies included in the merger are said to invest an additional US$321 million over the next three years.